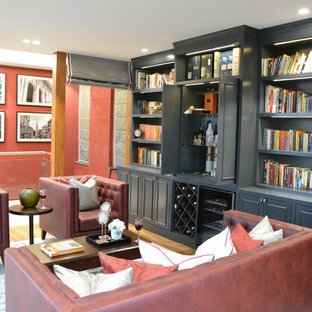 Every home needs a spot to catch up on cocktails with friends, have a shot of whiskey after a hard day or sip some wine to welcome the weekend. For most people, that spot is right in the comfort of their own home bar, with a guaranteed a seat. Whether you’re planning a bar room, outdoor bar, or just making room for a portable bar cart, browse home bar designs and ask yourself the following questions before you get started. I want to build a home bar. Where do I start? First, pick a location. 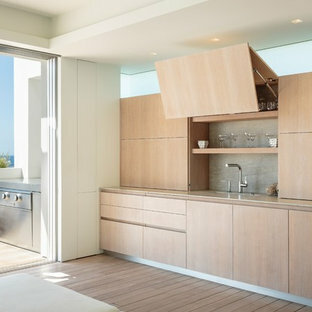 The most popular location for a home bar is in or near the kitchen or dining room. If you prefer entertaining outside, think about outdoor or pool home bars, they are great during the warmer months. 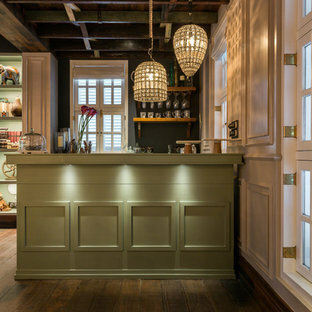 If you are limited by space, think of cosy corners to turn into a home bar like the space underneath the staircase or a hidden bar closet in the wall. 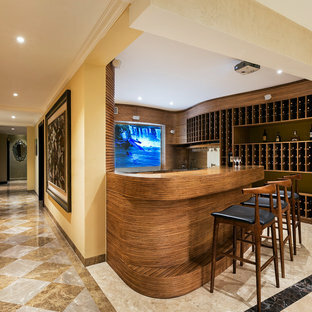 Once you have secured a location, decide on what functionality you want to include in your home bar, such as sinks, storage and refrigeration and other home bar accessories. How do I determine the style of my home bar? When you explore home bar ideas think about your lifestyle and entertaining needs, these will help determine the overall style of the bar at home. 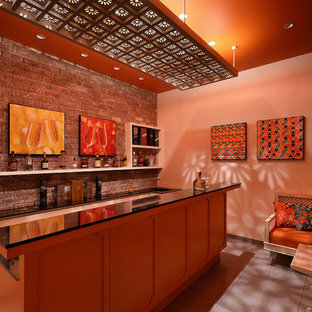 Start with the style of your home and play off similar decor ideas for your home bar. A kitsch inspired home cocktail bar will look out of place in a victorian home as would a long white walnut home bar jar against a bright red contemporary kitchen.Once you’ve settled on the style, sketch out the other smaller details like furniture, lighting, and barware. 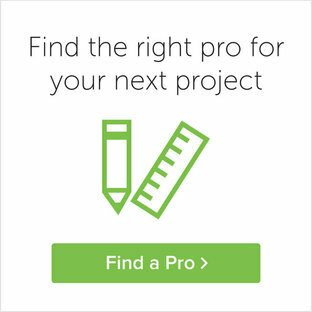 What home bar accessories and furniture should I include? If you entertain large groups regularly, think about a dedicated seating area around your home bar otherwise use bar stools, lounge chairs, and ottomans to create a casual atmosphere. 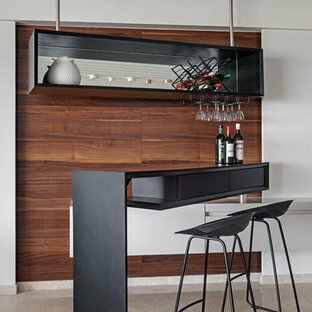 Home bar furniture, for example, bar stools come in an array of materials and styles, from traditional wooden bar stools, to resort- and industrial-style stools so make sure to pick the style that best suits your existing furniture. If you are creating a freestanding station, you will need a tall bar table, ensure to check that your stools and table height work together before you finalise any home bar designs. 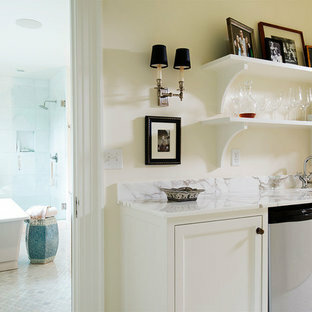 Don’t forget to think about storage, add stylish liquor cabinet and wine racks to your bar. Accessorizing is the fun part of designing your space. Draw inspiration from your favorite pub or lounge. 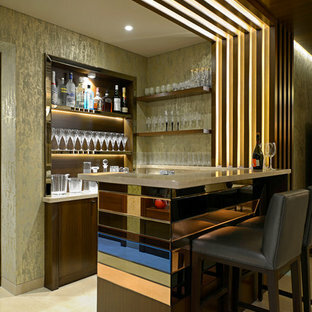 Use dim under bar lighting to create a warm, intimate atmosphere or spotlights to brighten and energise the mood. 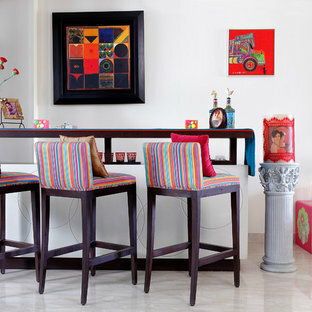 Add a touch of glitz and glamour through your choice of glassware, drinks trolley, ice bucket, shaker and spirit bottles.Pay attention to smaller details to add character to the space like coasters, neon lights or signage Finally, add home bar decor like ornaments, lamps, artwork, photos and travel mementos.